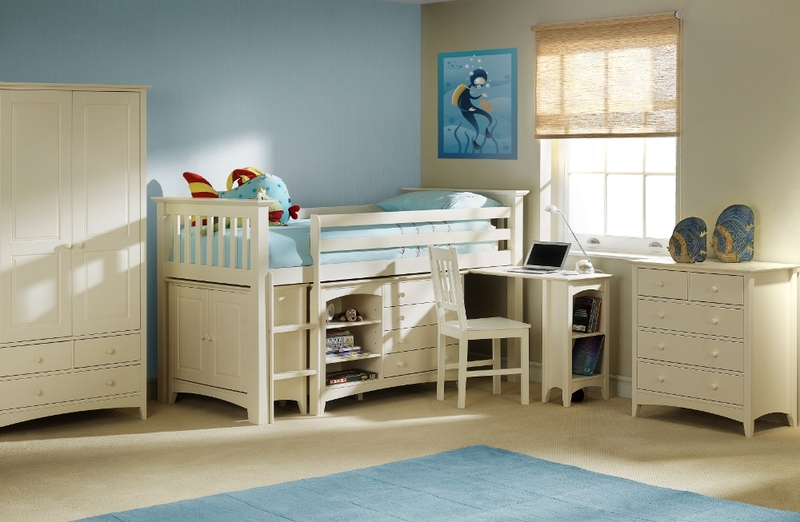 The Cameo range has been designed in a style akin to shaker beds, making the range a perfect addition to any child’s bedroom. The stone white lacquered finish present on each piece of furniture grants the Cameo collection a clean and classic look that lends itself well to essentially any decor. There are a number or different pieces of furniture in the Cameo range, yet some are specifically suited to children’s bedrooms, such as the practical shaker bed and the charming bunk bed. Other items within the Cameo range include dressing tables, wardrobes of different sizes, bedside tables and even an adjustable book case. Making the Cameo range as convenient as it is aesthetically appealing is each inclusion adheres to an innovative yet simplistic design that’s always easy to construct. All of the Cameo units are supplied in a flat pack format yet come partnered with comprehensive instructions, which makes the assembly process relatively stress free.